The Further Adventures of Sherlock Holmes is a collection of early and significant Holmes pastiche. 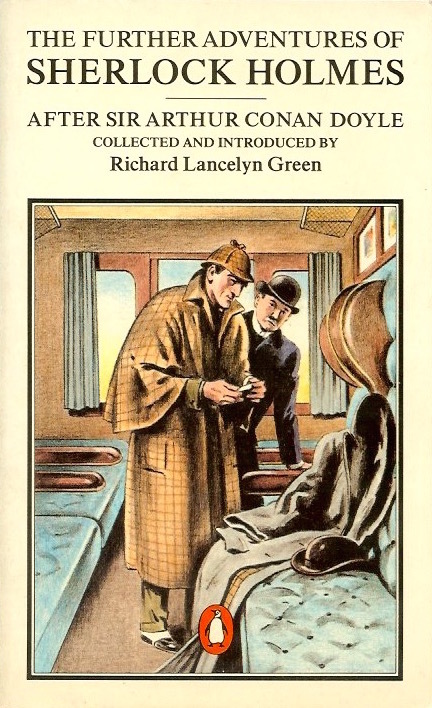 It includes the infamous "The Case of the Man who was Wanted" (here titled "The Adventure of the Sheffield Banker"), which was thought to be an unpublished story by Conan Doyle when it was first uncovered in 1948. The book includes an introduction by Richard Lancelyn Green explaining the history of each story in the collection. Many writers have revisited the Reichenbach Falls in the hope of summoning up the ghost of Sherlock Holmes. Now Richard Lancelyn Green has succeeded triumphantly with this collection of stories by experts of the calibre of Ronald Knox, Julian Symons and Adrian Conan Doyle. Designed not to compete with or parody the original, but rather to reflect and enhance the achievements of the great detective, The Further Adventures of Sherlock Holmes is a delightful treat for all fans.